Headband. 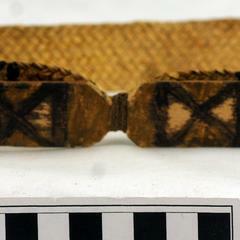 Woven band with a propeller-like buriti pith board attached to it. Condition: Fair. Headband is lopsided and not flat without extra support.